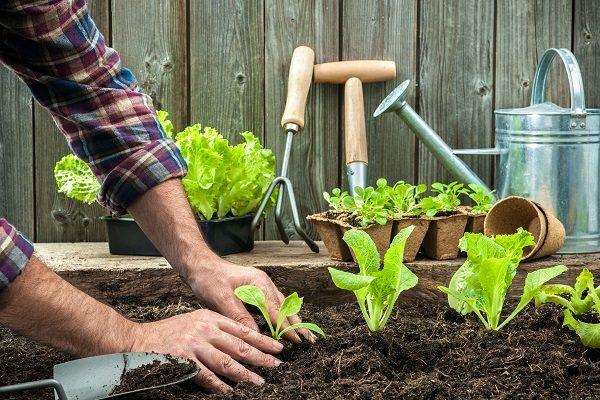 If you’ve decided to start a Vegan Garden based on veganic principles, this beginner’s guide is going to be an informative read for you. 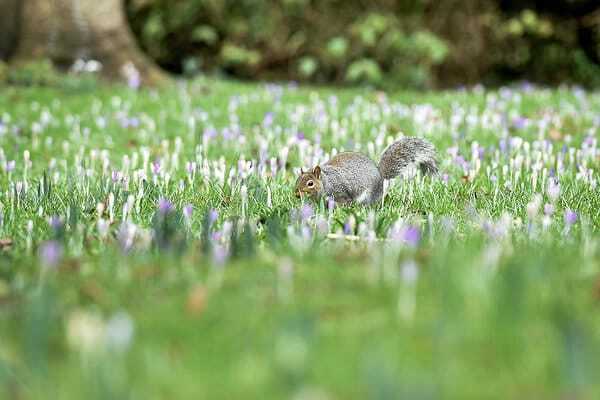 So you’re thinking about a garden that’s gentle on the Earth and all its living creatures. Veganic gardening is your answer–An increasingly popular combination of “vegan” and “organic,” it’s both eco-friendly and non-exploitative. The key is to stay away from chemical and animal products. With a little planning, it’s not hard to do, and you can even create a container vegan garden. Here are a few things to get you pointed in the right direction, in this beginner’s guide to veganic gardening. You don’t need a huge plot of land to grow your own fruits and vegetables. A few container plants will get you started if you lack a regular garden. 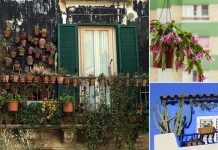 Potted plants will also grow nicely on small patios and balconies. Almost all the vegetables grow well in containers, but if you’re growing fruits, start with smaller containers and transplant your plants into bigger ones, once they outgrow them. Keep in mind some larger vegetable plants like tomatoes will need room for the roots to grow. Larger pots can also store more water to get your plants through the hottest days. The best thing about a container garden is that you can plant vertically. 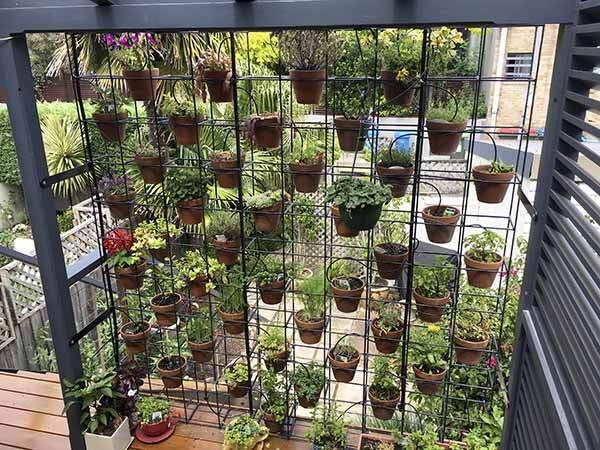 Just arrange the containers on shelves or a trellis. 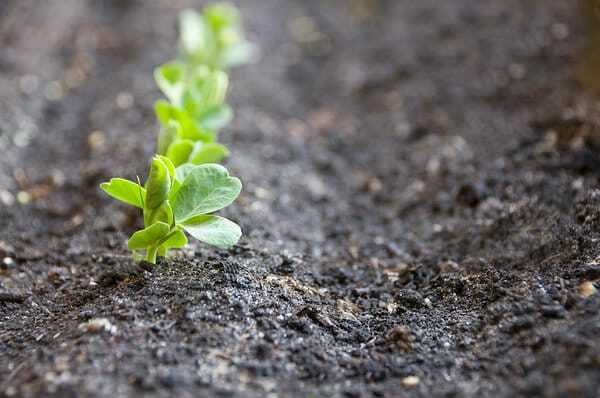 Unless you have a plant nursery in your area that sells vegetable seedlings, the only way to make sure the plants in your garden are truly veganic is to start them from seed. This is a tricky period, especially for newbie gardeners, but patience and practice will bear fruit. Start by planting your seeds in homemade potting soil. Many commercial potting soils have chemical fertilizers and animal products like bone or blood meal. Keep in mind some seemingly harmless fertilizers, like peat moss, are controversial, because of the way they’re harvested and the impact that has on the environment. You can replace them by coconut coir, a more eco-friendly alternative. Learn more about it here. Under veganic principles, your garden should not harm the critters that live there. That means no poisons or traps. Instead, you can keep hungry birds or rabbits away with fences or netting. 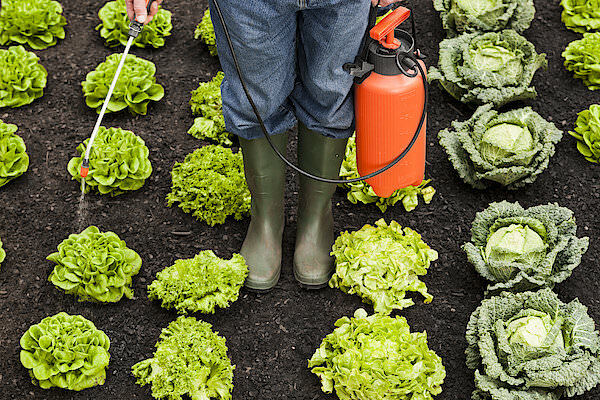 Veganic gardening also means you can’t use pesticides on pests that feast on your plants. But you can cultivate a balanced eco-system, one where ladybugs and aphids and other natural predators and prey co-exist among your plants. You can also plant herbs that repel pests naturally. For example, mint can control ants, aphids, and mosquitoes. Rosemary and basil also repel mosquitoes and flies. Check out this list on Wikipedia for help. Chemical fertilizers are rich in nitrogen, potassium or phosphate. While they’re convenient, they are not natural and organic and can change the fertility of your garden’s soil. Animal fertilizers, like well-rotted manure, are animal by-products and therefore not vegan. Veganic gardeners prefer plant products, like hay, to mulch and add nutrients to the soil or compost. Compost is excellent for your garden as long as there are no animal products in it, so no eggshells. Composting requires three things — the “brown” or leaves and twigs from the outdoors, the “green” or scraps from your kitchen and water. It makes an excellent fertilizer for your plants. Learn more about composting here. Your garden is a small community where the plants should work together to thrive and attract bees, butterflies, and birds. Plant tomatoes and basil next to each other. The herb repels flies and mosquitoes and will encourage a higher yield from both plants. Lettuce, carrots, spinach, and celery work well together in a garden as well as in your salad. Cabbage, beets, and rosemary should be planted in separate areas since they can often share the same diseases. Onions should also be kept away from bean plants since onions could impede their growth. Corn, on the other hand, is a great companion plant for beans. 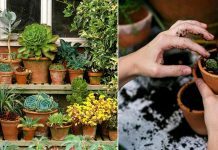 No matter the size of your garden, staggering or rotating the plants can have a beneficial effect on the soil, leaving it more fertile than before. Same goes for a container garden. 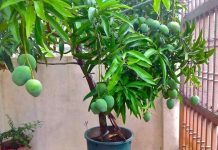 It can also lengthen your growing season if you choose plants that are appropriate to your climate and prepare the garden. There’s no prescribed way to become a veganic gardener, so long as you follow vegan and organic principles. Incorporating the basics of landscaping and the basic tenets of veganic specific gardening will make it less intimidating. 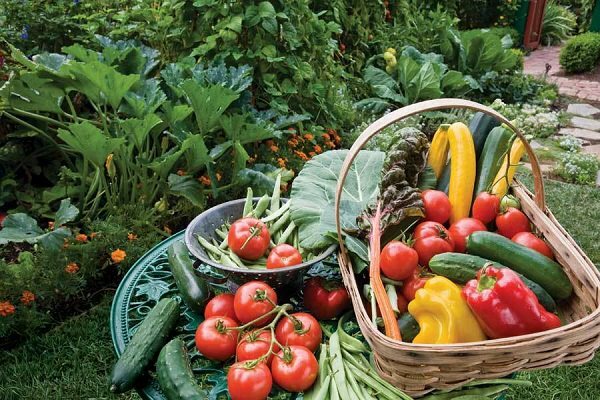 As long as you’re guided by respect for the Earth and its creatures, your garden can produce beautiful fruits, vegetables, and flowers that benefit humans, wildlife and the ecosystem. Jack Malone is a farmer and freelance writer who prides himself being eco-friendly. He enjoys finding new ways to practice green-farming with no chemicals.